There is only one situation I can remember in SC where people MIGHT have had a case on fraudulent marketing practices in the form of bait and switch and that was with the Khartu-Al having one of its seats removed. I'd be prepared to forgive CIG for that, TGS, when you consider the massive gift given to those who already owned the Idris. Lol very fair point. Though I'd argue that many ships have been massive gifts in that people early on bought them at very cheap prices relative to the pricing scheme given how much they've grown. Like the Starfarer for example grew massively. The Idris grew massively. The Javelin grew massively. Basically every ship has grown massively. Considering they priced the ships based on their size and function originally, a lot of people have done very well out of it. Yes, I agree, TGS! I'm so pleased I came to the development of the game early. And yes, I see such practices as malignant and stupid in general. I think that over-reaching hype and PR is exactly why we can't have nice things any more. And, to be honest, I am happy to see Josh not engaging in such practices. While I think that interaction with consumers is important (and thank God we have Talvieno here to handle most of it), making it a foundation of your project is only marginally different from an actual scam. That's my opinion brought from experience of both observing companies and running a business of my own, and I think I'm entitled to it even if you don't like it, or think it's wrong. Amen to that, outlander! I may be a tad biased in my opinion of Nathan but he's a real asset as far as this Community is concerned. I pledged for "more than a few" of the 85X to get the LTI. It allowed me to fill in the gaps in my fleet. Aurora is just atrociously ugly and stupid. Like, half of the ship is basically glass windows. Yes, I feel the same about the "glass coffin", outlander. But for anyone who feels the need to take it for a spin I included all the variants in my fleet. I still like the 300i and all its variants. That's not to say I will be piloting any of them on a regular basis though. I'm still undecided which single man crew ship will provide me with my spills and thrills. I'm blessed with a full range of choices for a multi-crew experience but most of them will probably end up being a part of Org. operations. Lol I know what you mean and I knew you said that. I just wanted to reiterate the point because honestly as much as marketing in the consumer society we live in is really bad and exploitative, it is what it is and really my logic has always been about responsibility. People need to learn to take responsibility for their own actions and that includes getting sucked in by the hype a company pushes. OF COURSE a company is going to try to market and hype. 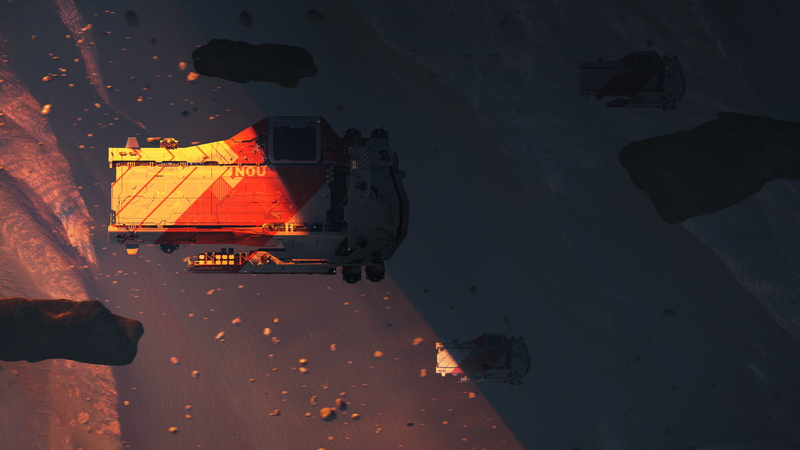 But from CIG I don't see it as much as others do. I see them often planting seeds and then the community grow the crap out of it. But then when the hype has reached fever pitch, and it almost always does they turn around and blame CIG for it. I find that really odd because like the ship sales people seem to have this thing with blaming CIG for what the community has done. Many accuse me of a being a fanboy/white knight but I truly just don't see CIG doing anything that bad. They sell stuff. You're allowed to not buy it. They don't pressure people, they don't push people and hell aside from the Pioneer (base builder) they don't even really hype things up that much. The community does though lol. The community is relentless. I wish they were more like you all here. All the regulars here are pretty chill. Even back when there was stuff to hype about with LT you remained chill. I like that. Finally, the minor god of the postal services has witnessed my obvious frustration and guided a man in his van to my door. The majestic manner in which the man placed the precious parcel containing my book in my hand was worthy of record in the annals of postal history...unfortunately he didn't require a signature. They don't pressure people, they don't push people and hell aside from the Pioneer (base builder) they don't even really hype things up that much. Edit: I'm more than happy with my nicely appointed hangar and if I manage to get a few of those giant fish tanks I will be even happier.